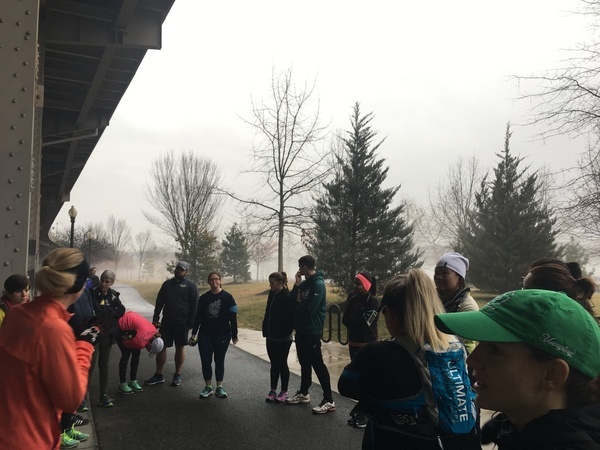 Today marked the first day of officially training for the Cherry Blossom Ten Miler! While I’ve been out for trudging through some cold-weather runs for the past few months, I haven’t been officially in training mode until today. 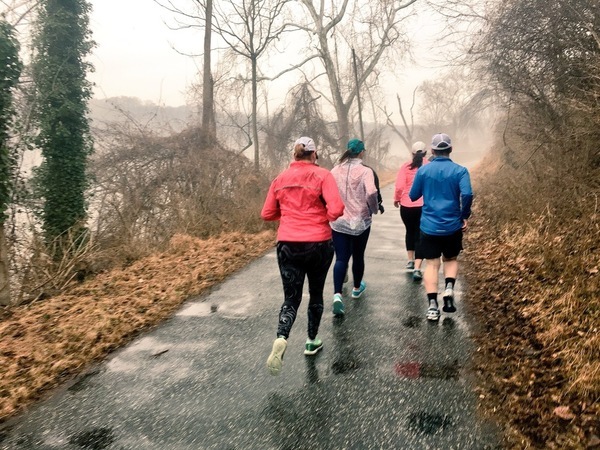 I am training with the D.C. Potomac River Running group in Georgetown on Sunday mornings, and today’s training run was both informative and fun! I have never trained for a race with a training group before, and although I haven’t invested too much time in the experience yet, I can already tell it’s going to be exactly what I need. Throughout my running career I’ve been very intrinsically motivated to get up early, put in the miles and compete my hardest. I love running, so it’s not difficult to convince me to pound the pavement. But training solo has its downsides — there have been times I have run exactly what an online training plan calls for regardless of weather or how I was feeling, or I run too slow or even too fast. Running groups bring accountability for those who lacked the motivation, I thought, so I didn’t need to pay to join a group. I tended to relish that I didn’t need others to help me reach my goal — “what a waste of money,” I said to myself. Now I realize that running groups are a way to get involved in the running community, meet other runners and work toward a common goal. Additionally, the coaches — a wealth of knowledge themselves — can help me tailor my plan if weather, injuries or illness interfere. Also, they have tips on nutrition, stretches, recovery, running style and so much more to help me run my best race. I’m looking forward to picking my coaches’ brains on things such as injury prevention, race strategies and gear. So while I’m just in the infancy of my training, I’m going to be looking forward to group runs on Sunday morning! I'm sure it will be the focus of many more blog posts to come.